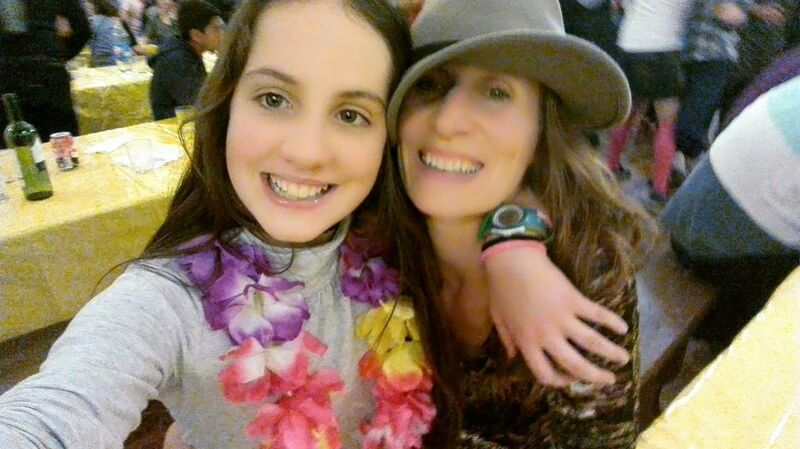 Run by the same family for over 20 years. 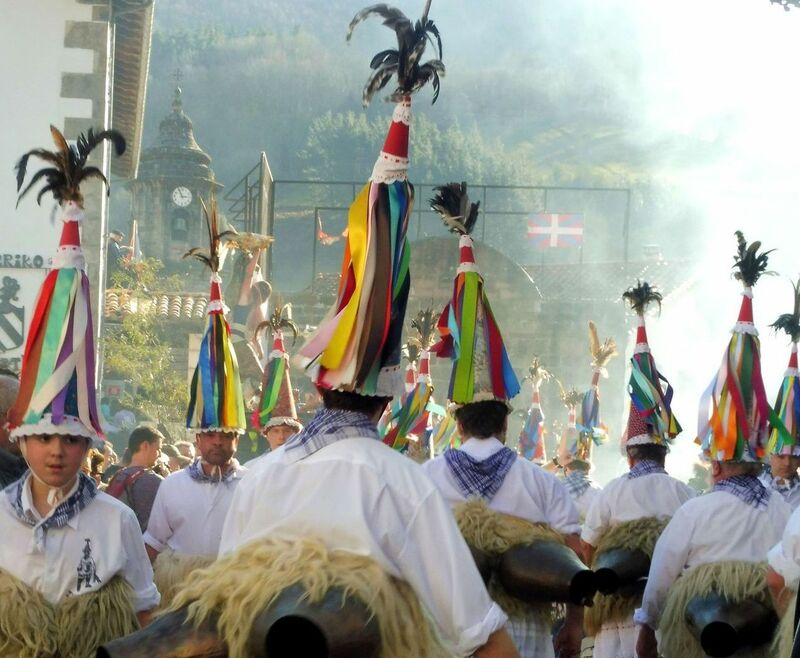 Total Basque Mountain Experience: Ancient Fiestas & Gastronony. 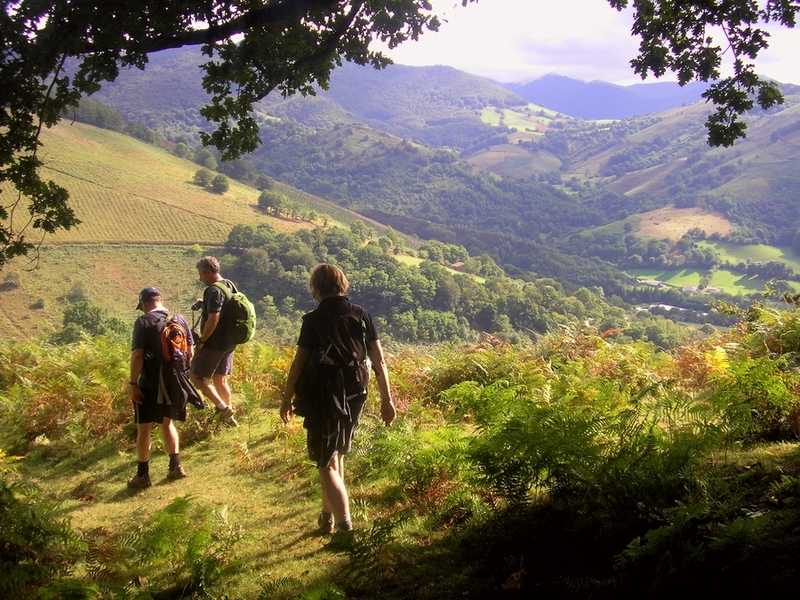 Guided Walking Weeks. 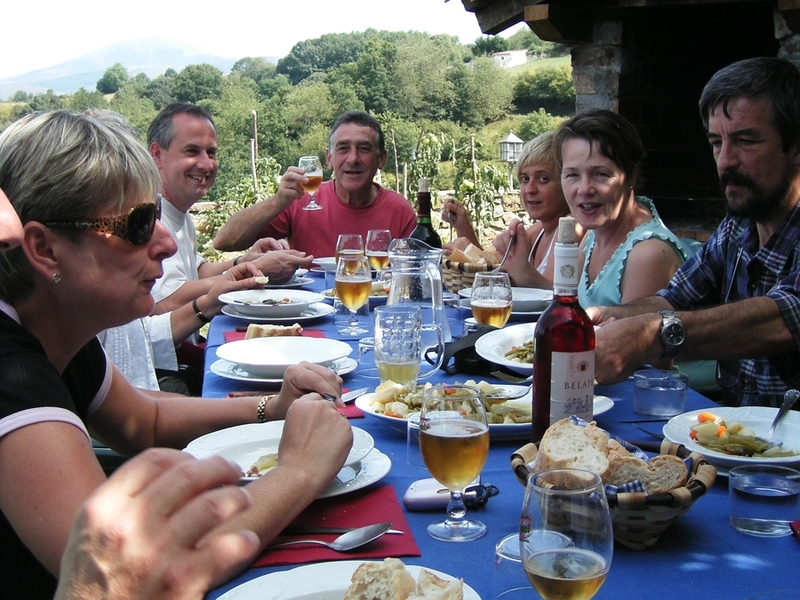 These relaxed walking holidays in the Pyrenees invite guests back-stage into our personal lives where friends, historians, musicians, cooks, wine experts, shepherds and millers offer a private insight into the wildly beautiful and mediaeval Basque landscapes. 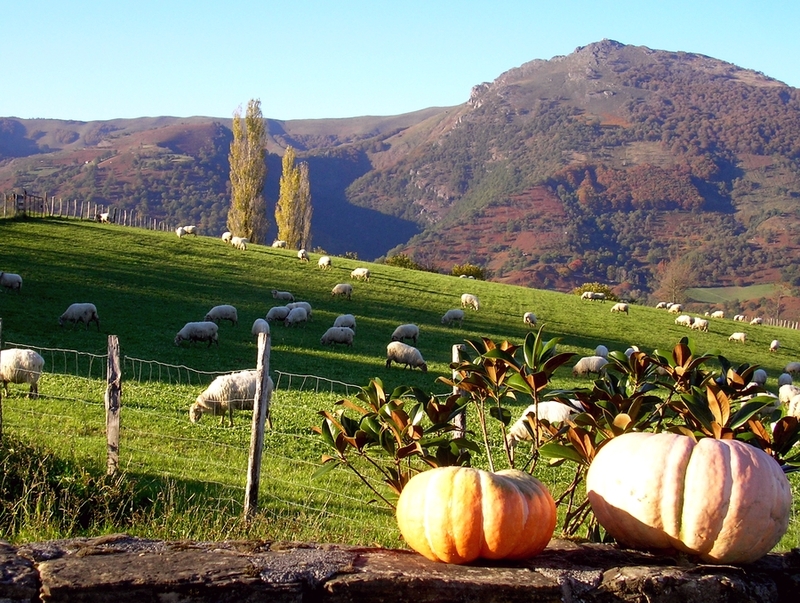 Here, in the cradle of the Basque culture, we lead guests off the beaten tourist trail to experience ancient Basque celebrations and sample the best of Basque food and wine. 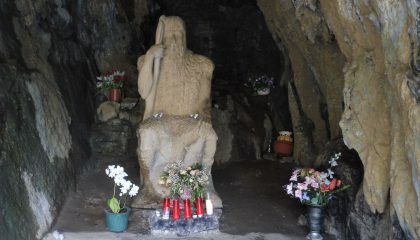 ALSO Basque Mountain Experience (One Day Tours). 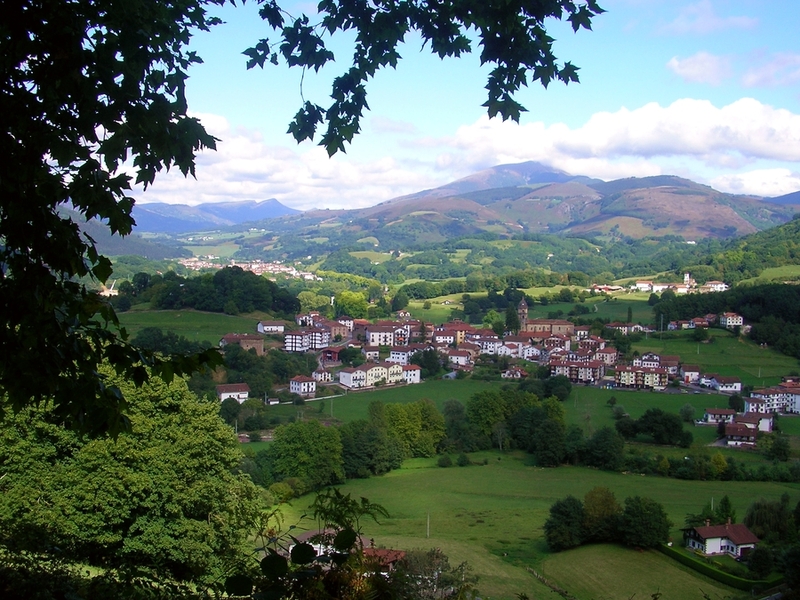 Total Basque Mountain Experience: Centre-based Self-Guided Walking Weeks. 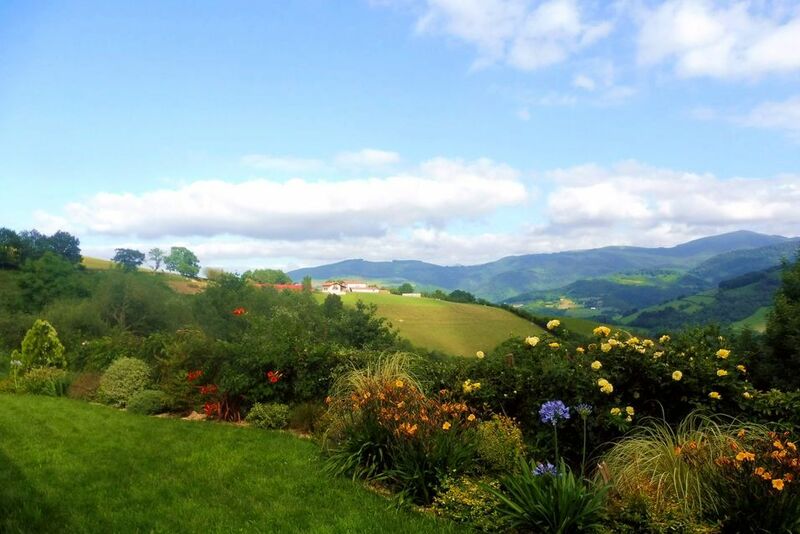 Our beautiful guesthouse is a walker's paradise with 200 kms of self-guided walks mapped in detail from the farmhouse door - and 10 different Basque villages to visit en route. 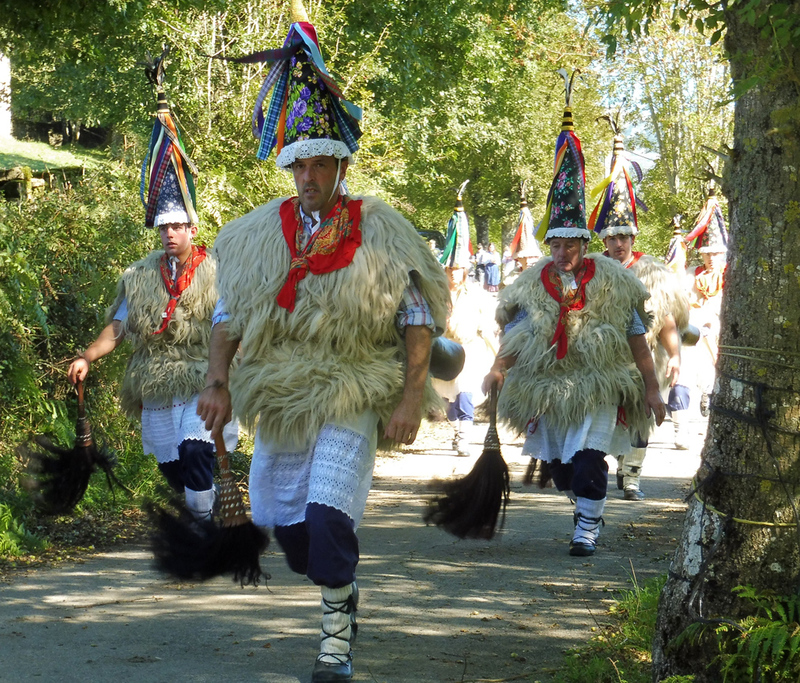 Each evening we offer our guests a private programme of Basque gastronomy, wine, music and cultural events too. 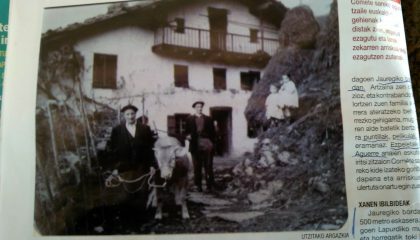 This week also includes guided introductions and talks about Basque village and mountain life. Maps and detailed walking notes. 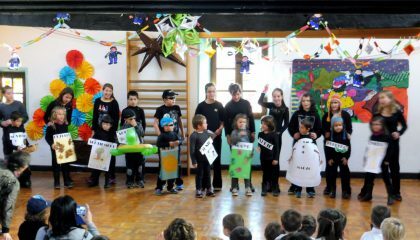 Walks for all levels. 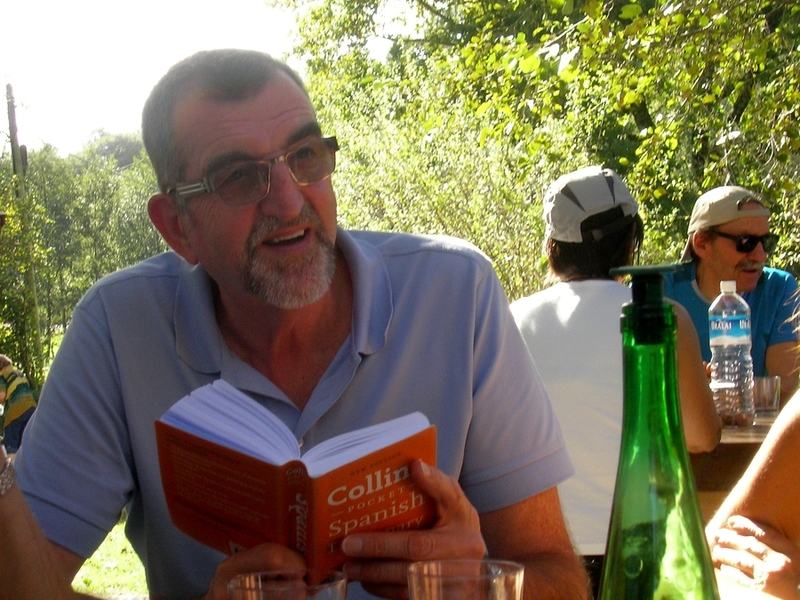 Total Immersion Spanish Language & Walking Weeks. 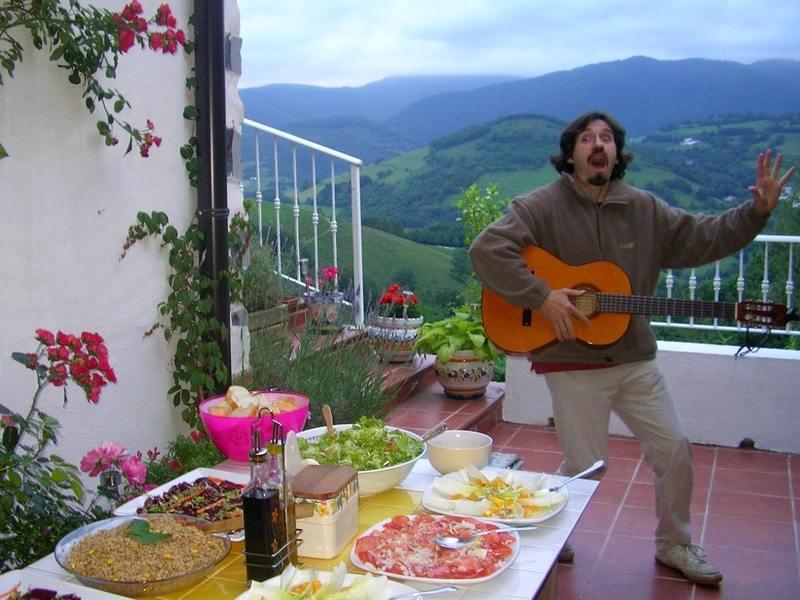 Join our Spanish family, friends, farmers, cooks and musicians for a unique Spanish house party - celebrated over the past 20 years. 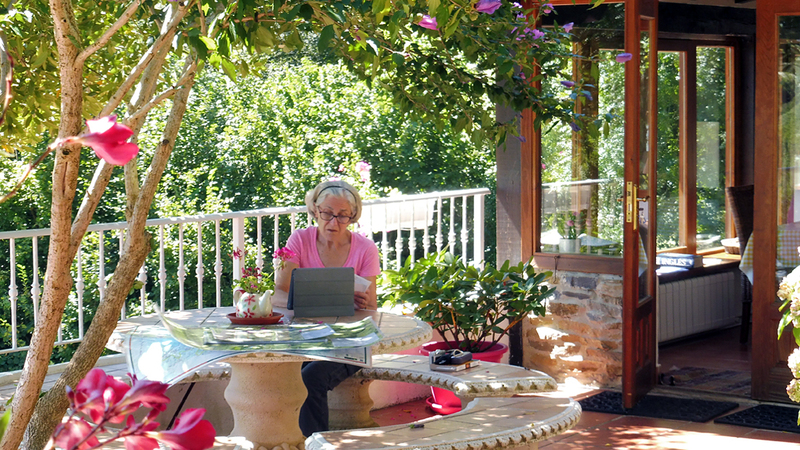 Our professionally-run immersion Spanish courses combine relaxed country walks, great food, wine, Spanish lessons and round-the-clock, focused, Spanish conversation and tuition with highly-trained teachers. 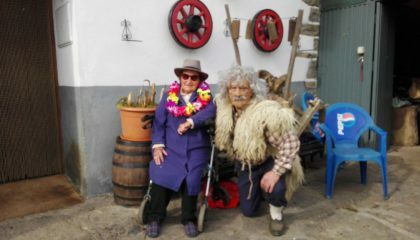 Perfect for diserning adult learners of Spanish who want to escape worn tourist trails. Each evening winds down with private dinner parties on the terrace and a lively, intercultural – often multi-lingual – meeting of minds. 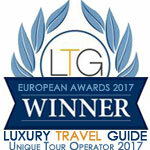 Wine tastings, music concerts, cooking demonstrations and history talks ensure no two weeks are ever the same! 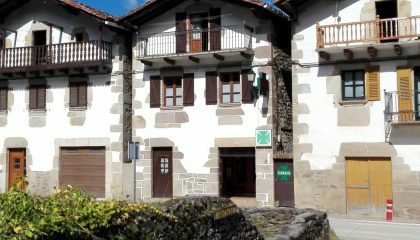 For over 20 years our beautiful Basque guesthouse near the Baztan Valley in the Spanish Pyrenees has run exclusive 'open-house' weeks for walkers and discerning travellers from all over the world. 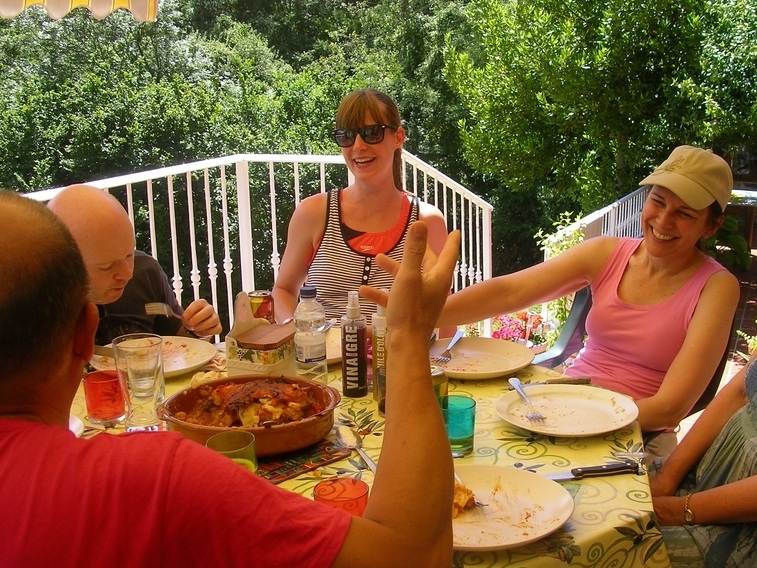 With space for just a handful of guests each week our international ‘house-parties’ offer more than mere walking holidays in the Pyrenees but a welcoming home-from-home and cultural ‘base camp’ from which to explore these wildly beautiful Basque landscapes. 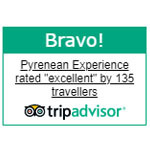 See reviews in Tripadvisor, The Times, The Observer, The Guardian and The Daily Mail. 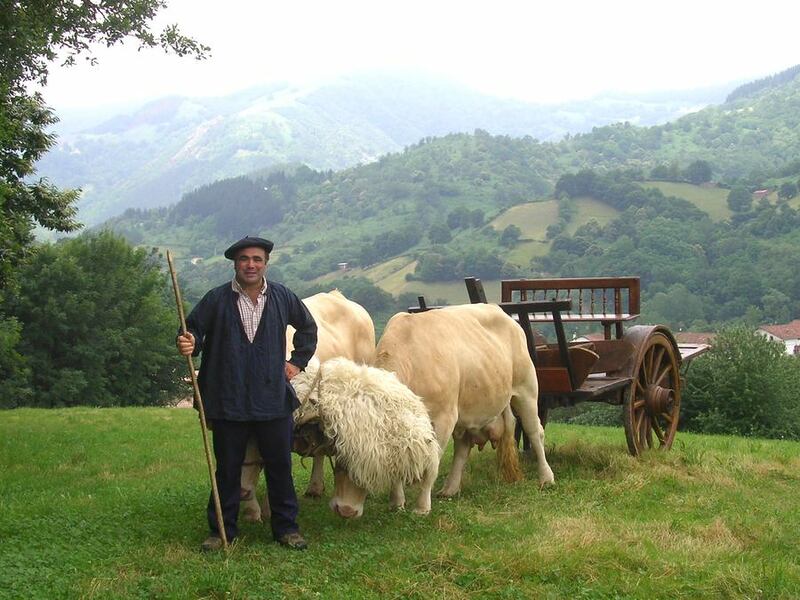 Our tours run from San Sebastian, Pamplona and Biarritz which lie less than an hour from the tiny medieval Basque mountain villages of the Pyrenees where we live. We introduce you to the history of the shepherds and smugglers, the ‘witches’ and resistance fighters who formed part of WW2 COMET escape lines during the second world war. 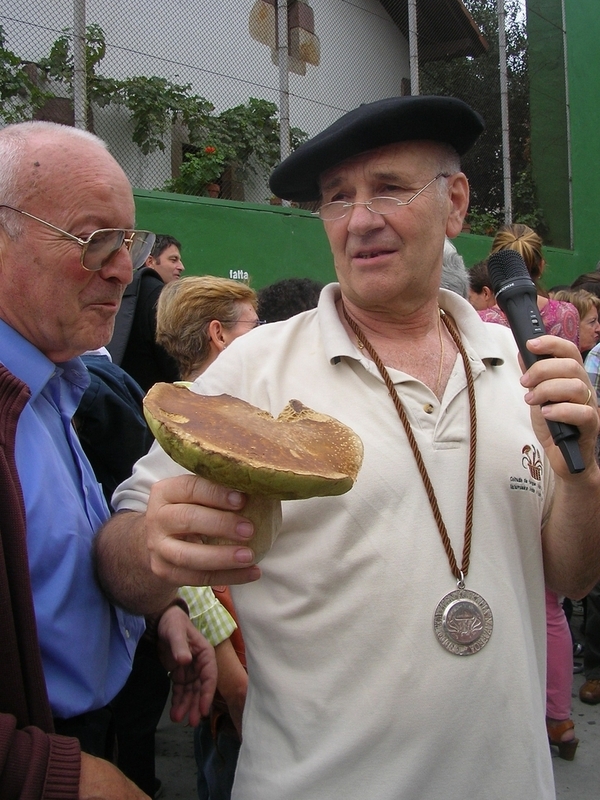 The tour combines village and mountain walks (different levels), a gourmet Basque meal in a Michelin-recommended restaurant, a private music concert, tapas and wines and offers a once-only introduction to the landscapes, history, traditions and language of the Basque mountain people. 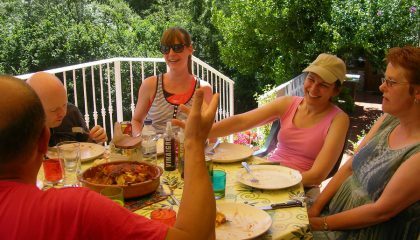 We host our house parties together with an amazing team of Spanish / Basque family and friends. 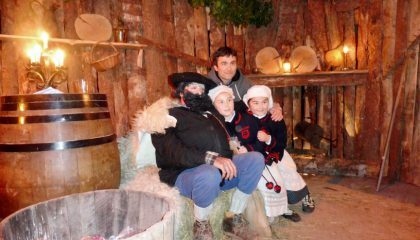 Our lives here in the mountain villages of the Basque Pyrenees are closely entwined with farmers, shepherds, cooks, historians, teachers, artists and musicians, all of whom are proud to share their language and culture with our guests. 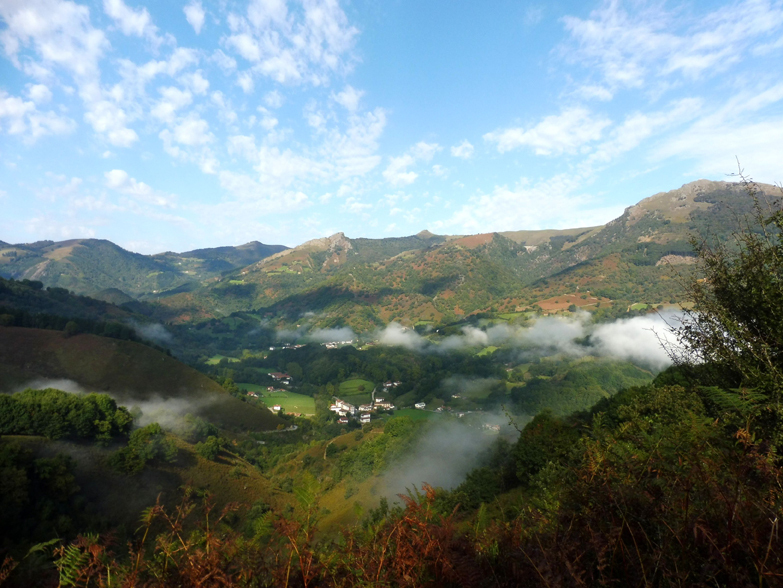 These walking holidays in the Pyrenees are always vaguely idiosyncratic, no day is ever the same, and the intercultural exchanges we experience every summer greatly enrich all of our lives. 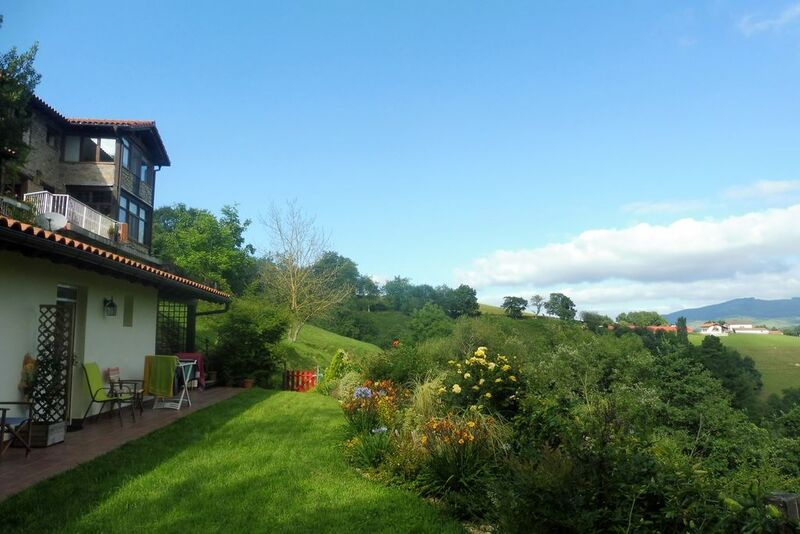 Our farmhouse is an eagle’s eyrie in a Pyrenean paradise (my morning cup of tea inevitably goes cold just staring out of the window!). 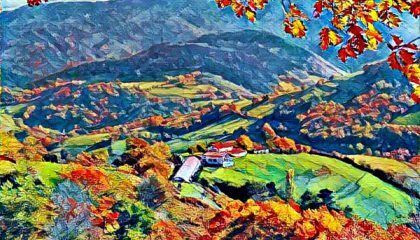 We live in northern Navarra in the mountain village of Ituren, (known for the pagan Basque traditions of the ‘Joaldunak’) and San Sebastian, Pamplona and Biarritz are less than an hour away. 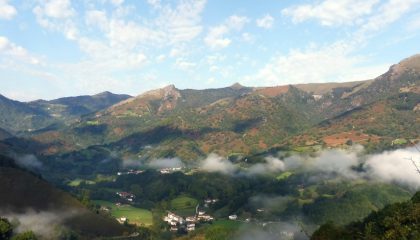 I have documented over 200kms of circular walks from the farmhouse door which link the surrounding villages, hill-top farms, and great Basque restaurants. 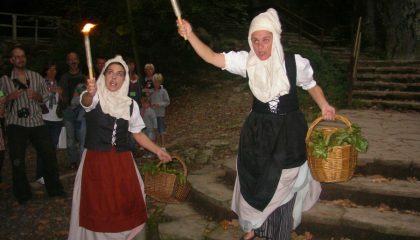 This is 'Sound of Music' styled walking terrain which offers our guests unique ‘car-free’ walking holidays in the Pyrenees. 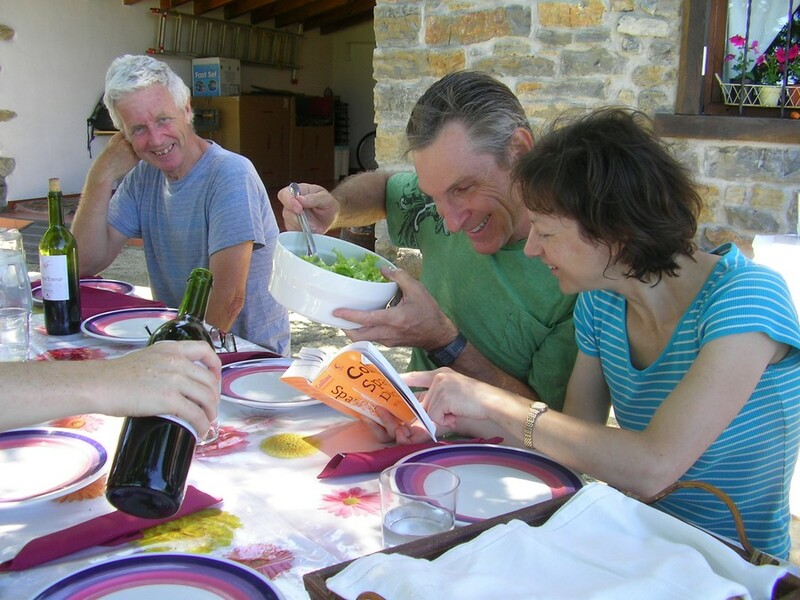 We love our work and are acutely aware that these cultural exchanges with our guests vastly enrich our lives. 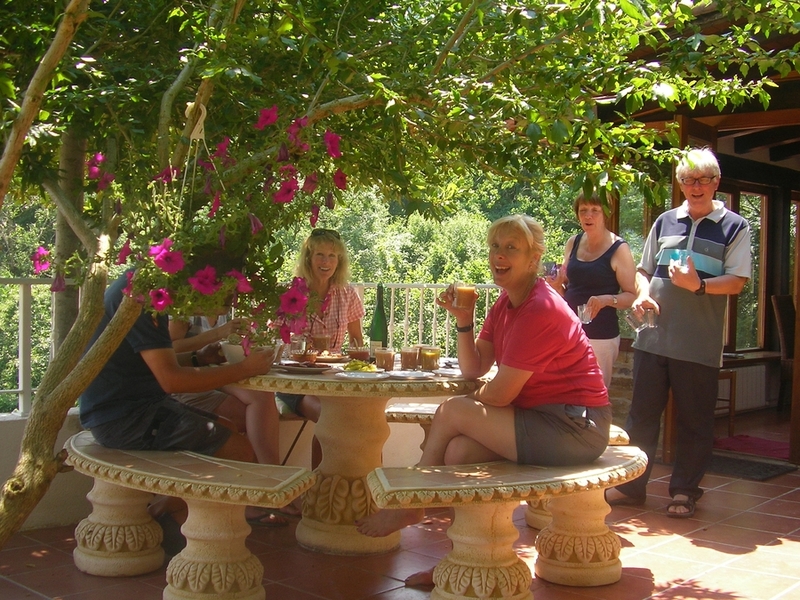 Our ethos is relaxed and informal, the international house-party spirit is dynamic and fun and every meal and glass of wine is on the house (which seems the only civilised way to run a holiday!). 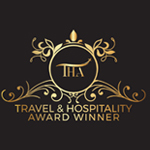 But do not be deceived, we are also a team of highly focused professionals, passionately dedicated to all we do. Is there any reason why the two should not go hand in hand? 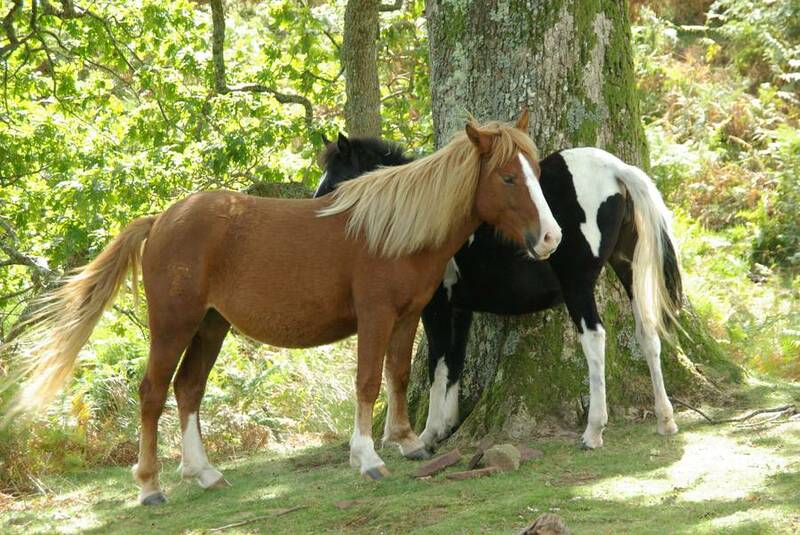 Seeing Life in Colours – and the need to expand our vocabulary!